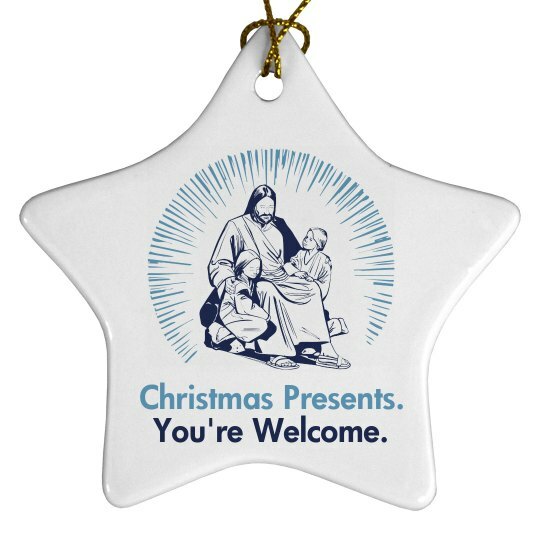 Customize a funny Christmas ornament for you or friend's tree. Custom Text: Christmas Presents. | You're Welcome.